This is a very large statement vintage ring, hand wrought circa 1970s. 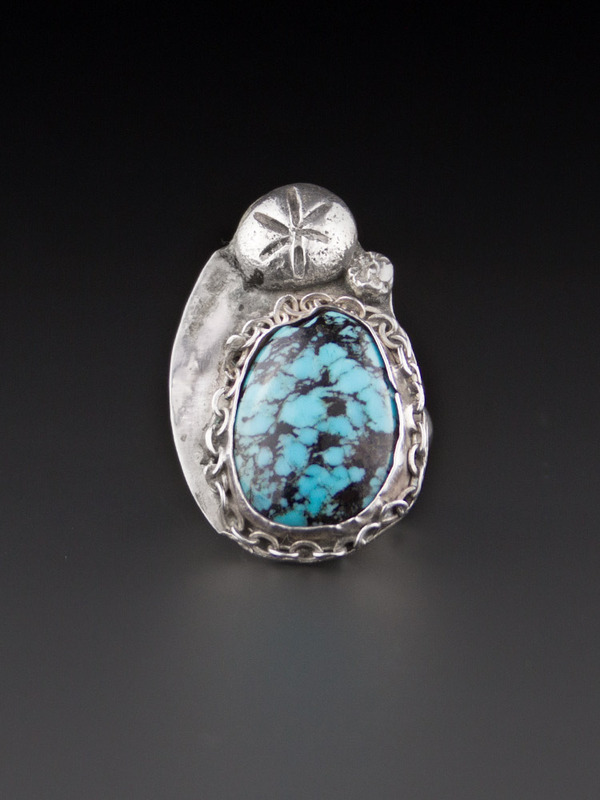 Native American made, it is a primitive rope and berry setting with a smooth bezel and features a very large, flat smoothly polished piece of spiderweb turquoise. 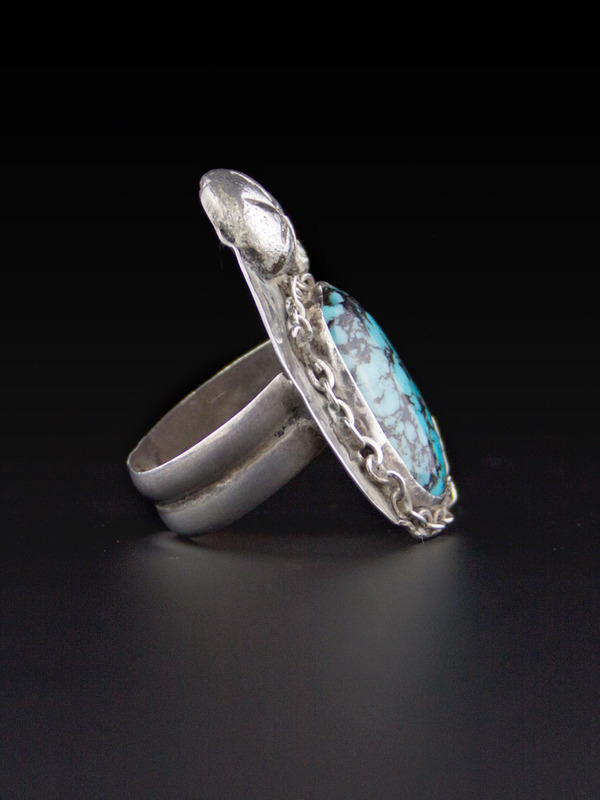 This is not a refined ring, but an amazing and large statement piece with a focus on the spiderweb turquoise. Spectacular vintage condition. Shows mild wear commensurate with age, no chips or cracks, will come with some patina, as level of polish is a matter of taste. 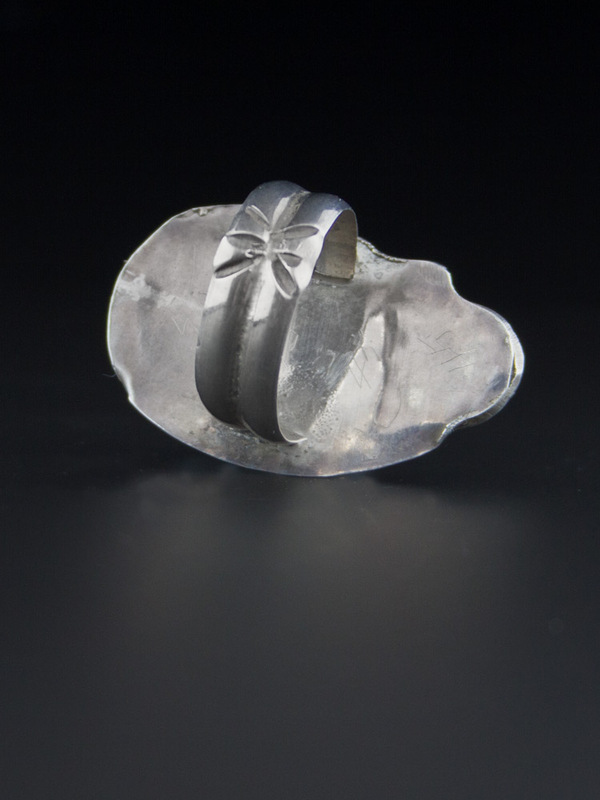 Please note this ring has a handcrafted look to it.